When your wedding day finally arrives, you’re on the ultimate cloud nine. You’re about to marry your best friend and nothing can stop your wedding day bliss. Or can it? Nothing will bring you back to planet earth faster than a broken zipper, a pull, or worse… deodorant smudge marks! 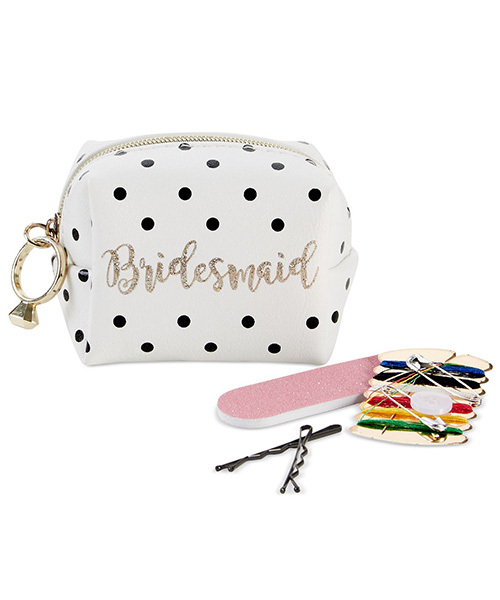 There’s a lot of moving pieces on your wedding day, and you or your bridesmaids don’t want to fall victim to any wardrobe malfunctions. We spoke to stylist Jenny Altman, and here, you’ll find the emergency items she carries to avoid any dress-related disasters! No one wants a clingy catastrophe, do they? No matter the fabric, it’s always smart to give the bridesmaids dresses once-over with a lint roller. 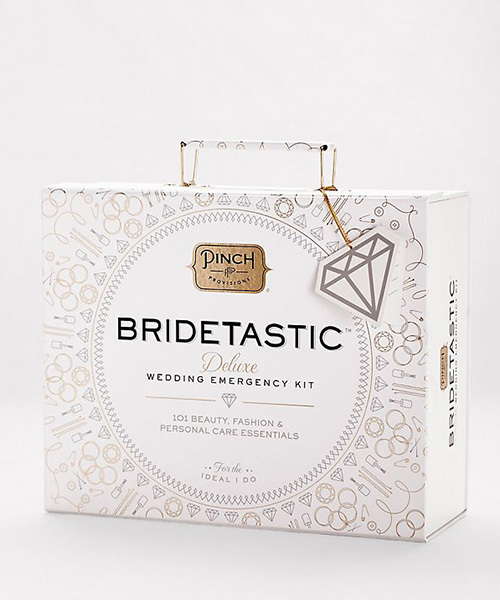 For any wedding-day emergency, you’ll find multiple uses for mini scissors. 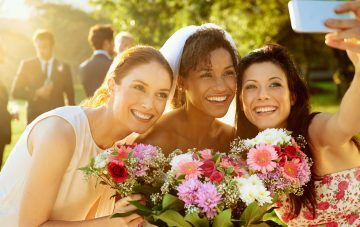 While the bride won’t have an issue with deodorant marks, white marks can quickly ruin a bridesmaid dress. Keeping extra of these in your bag is highly suggested. Rocking ripped stockings down the aisle is not a pretty look, trust us! “I always have safety pins in my bag because you never know,” Altman says. Carrying a few extra safety pins on a daily basis may not be a bad idea either. 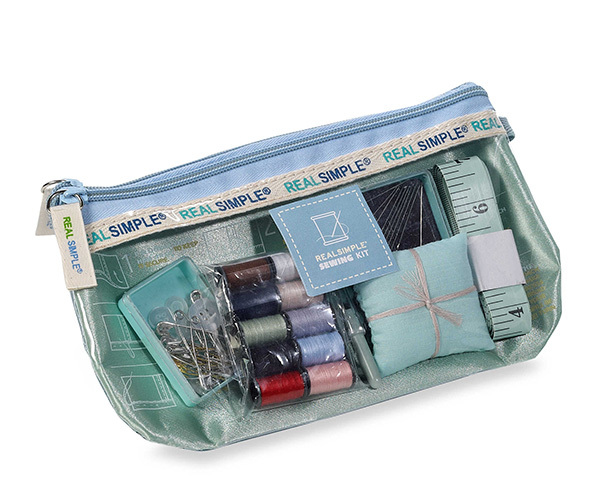 Be sure to also shop some of our favorite (and adorable!) 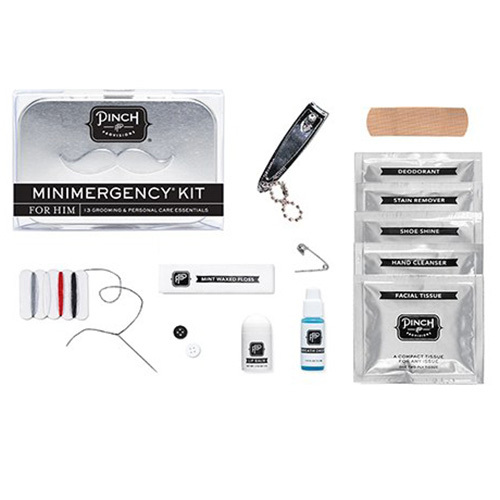 emergency kits that are perfect for those fast fixes. 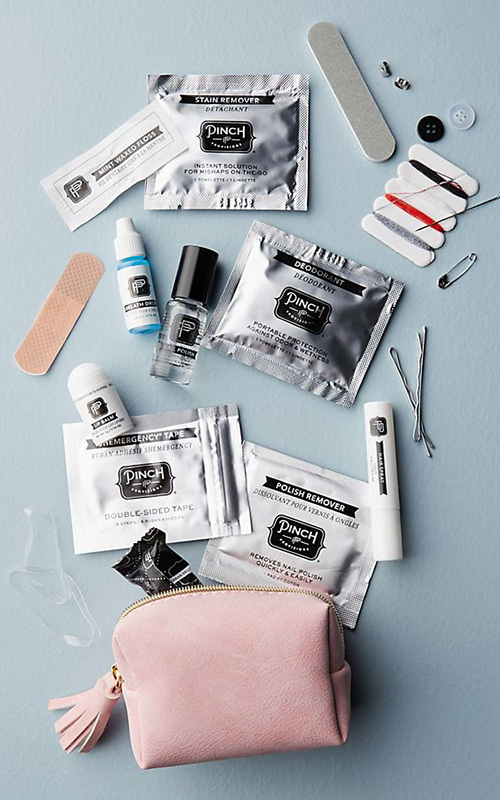 We even threw in an emergency kit for the groom (you’re welcome! ).